Perspective is everything. That’s a quote I’ve heard over and over, but it took weeds and two young kids to realize how true it is. I speak, of course, of dandelions. It is prime time dandelion season right now here in Michigan. Usually that all happens a few weeks prior but due to the hard and late winter, everything that usually happens over the 6-8 weeks of spring is being conslidated into a nice three week period. Those who suffer from allergies are not amused. Anyways, think of the difference in perspective when it comes to dandelions. As someone who takes pride in my lawn, I dislike them. I put down product in the fall and spring which is supposed to curb them. When they still come up, I pull them out, spray them, or do whatever it takes to get rid of them. But my kids (just about 5 and 3), they love them. They think they’re pretty. They gather them in bunches and create bouquets which they gift to my wife. If we drive by a field of dandelions, they marvel while I shudder. The same thing causes differences in reactions. And it’s all based on perspective. Seeing this stark difference got me wondering, what can a change in perspective change in terms of behavior, output, and end results? I think that it can be quite a lot. Let’s move away from dandelions and think about something like getting out of debt. Someone in debt can see the debt as a big mountain, one that’s often impossible to climb. This may make the debt seem too difficult a task to take, so what do they do? Any or all of these issues is going to take away any immediate chance of success, partial or completely, of getting rid of your debt. But, what about a change of perspective. What if that dreaded mountain is broken down into smaller climbs? Instead of looking at climbing the mountain, look at climbing only 1/10th of your debt mountain. And most importantly, get started! By focusing only on a smaller goal, you now get started sooner. Once you get to that first ‘summit’ you have motivation to continue on. You have a ‘win’ behind you, and you can keep going, often faster and more effectively than you did on your first climb. Look at results from those who have succeeded – I hate to break it to you, but whatever problem you’re having, there are others who have had it before you. In fact, that’s great news. Look around and seek out success stories. When you do so, focus on how they looked at it. Start making adjustments – If you find that your perspective is different than that of those who achieved success, start mapping out the differences and making changes to your outlook. Note the results – As you do this, you’ll start seeing results. Some will be remarkable. Some may not. That’s OK. Every person and every circumstance is different. Make adjustments – By this point, you’ve now had at least two perspectives. By evaluating both perspectives as well as the results from your change in perspective, you may need to make some continued adjustments. Go for it! Don’t ever think that a challenge is impossible. Very few are. Often those that seem impossible can become possible just in how you view things. Take a lesson from two young kids who can see a field of weeds as a thing of beauty. This can help you understand the importance of perspective and how to apply this to the changes you want to make. Get started today! Sometimes it’s hard to see the forest for the trees -so the saying goes. A while back I was talking to someone about money and finance when I had an “A-ha!” moment. I finally realized that I had a 5-year cycle of debt. I’d go into debt only to work my way out then end up back in debt again. That moment when I realized my pattern made me change my perspective. Now I see which habits I need to change and keep focused on what needs changing. 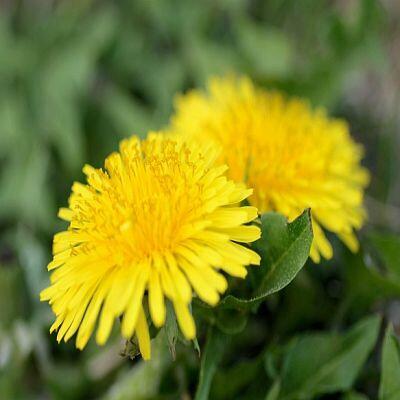 As for the dandelion analogy, I remember when I used to love blowing the seeds everywhere. Now, I’d never do that since that’s how they spread! That’s a great example, thanks for sharing! How true! Sometimes a person really does need to step back and take a fresh look at things. And not just at problem issues. An occasional fresh view of Life, the Universe, and All That can make a big difference in the way you’re feeling or routine you’ve fallen int. It’s like the old saying, “How do you eat an elephant? One bite at a time.” I may not think I can “eat and elephant,” but I can certainly take one bite. I may not think I can achieve something huge, but if I just do a little at a time, eventually I’ll get there. Great article, Money Beagle! It’s so true, perspective can make a huge difference in your life if you have the right one 🙂 I struggle with my perspective when it comes to my job sometimes, especially lately, as I am struggling to stay engaged, but I know if I changed it, it would be helpful.